While the U.S. consumer has been in open revolt against the industry wide use of High Fructose Corn Syrup (HFC) as a cheap sweetener in almost every food or drink for several decades, Agave Nectar was being marketed to the cocktail world…. and it went viral. Coca Cola purists have been importing “Mexican” Coke (Coca Cola made with cane sugar) for years because the beverage industry in the U.S. forced the use of a cheap and unnatural form of sweetener, High Fructose Corn Syrup (HFC), on an unknowing consumer with the aid of enormous U.S. corn subsidies and a murky food manufacturing monopoly of ADM and Cargill. The industry refuses to admit there is a difference in taste, but one sample of Coke with HFC vs Coke with sugar and you will immediately realize what a sham HFC is for taste and texture. There is also a firestorm of debate raging today over the HFC industry and the many health questions surrounding it. This is where agave nectar now joins the debate. 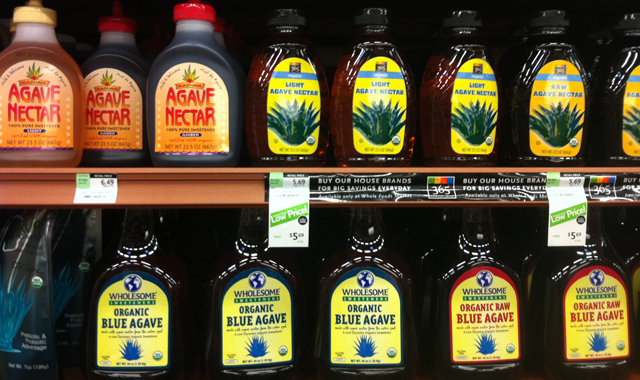 Agave nectar is a high fructose syrup and in many cases even higher in fructose than HFC. Because it isn’t naturally occurring in corn or agave, this type of sweetener (fructose) must be made by changing the starches from corn or an agave piña into “sugar” rather than just pressing cane for it’s sweet juice or tapping a maple tree for it’s sap and boiling it down to a natural syrup and then into crystalline form…It is done chemically with HFC (by use of hydrochloric acid), by malting and/or mashing and heating a wort for whiskey and by heating the agave piña (roasting in the old way for making tequila) or, in some cases, with chemicals or enzymes for agave nectar, to create the sugars…you know the rest. This is great for fermenting and then distilling into white dog or tequila…but as just a sweetener? Hmmm.. It lingers and doesn’t give you a clean finish. It doesn’t matter if you add water (which you need to do) to cut the nectar for cold drinks; it still has the same effect. It also adds a flavor that is, arguably, off putting in many drinks that should be cleaner…most notably, the Margarita. Regardless of whether you like agave or not in your drinks, it does add a foreign flavor that just isn’t called for in any classic drink. Agave nectar has nothing in common with the flavors imparted by good agave spirits (tequilas and mescals) and is more akin to honey, sorghum or corn syrup…and on second thought, not anything close to what I would use to sweeten my Margarita. For the same reason I don’t want HFC in my Coca Cola, I don’t want agave nectar in my Margarita. Cane sugar or a high quality triple sec are the only choice in a Margarita. Sucrose (the bulk of cane sugar), on the other hand, is clean and naturally occurring. Refined, it still has a certain “flavor”, but mostly it is a flavor neutral ingredient. It is there to impart the sweetness that your tongue senses and wants for itself or to balance other tastes…sour, bitter and salt… while not imparting unwanted flavor that might interfere with the balance of whatever it is you are making. Even if you wish to use brown, “raw” or other stage processed sugars for the sweetness and the robust flavor, the finish and texture is cleaner than HFC or agave nectar. This is exactly the reason people are prying open the market for imported sodas from Mexico and retro soda launches that use cane sugar rather than HFC. 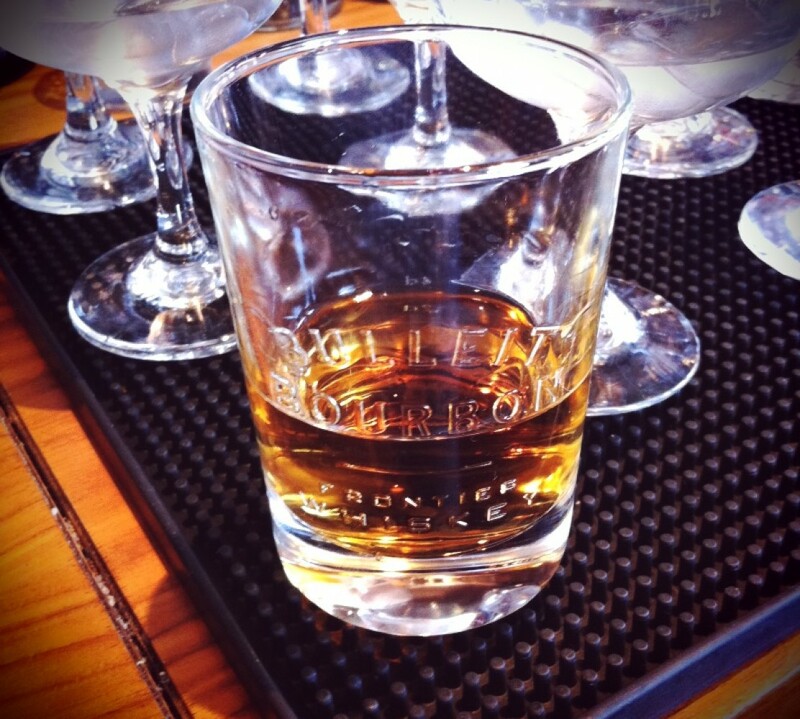 It is cleaner and crisper on the palate. It refreshes. But there is a use for agave or similar style sweeteners based on taste and viscosity and for the same reason they aren’t generally good in cold drinks. ; they coat your palate. Agave nectar and honey work well in hot drinks for sore throats; hot honey and lemon. The heat thins the agave or honey and thus it can be good in hot drinks for that warming and coating effect. In my youth, when sick, my mother would make hot honey and lime for my sore throat. For the longest time tasting a Margarita made with agave nectar it reminded me of something familiar and it finally dawned on me that this is what it was. There are rarely absolutes in anything, especially with food and drink, so if you like agave in your cocktail, then by all means use it. But if you look and taste a little closer, I think you will realize agave nectar has been hyped in the cocktail world and made into a fad ingredient based on dubiously inferred benefits, tastes, “authenticity”, the use of terms “natural” and “organic”, and is in dire need of a deeper look in both it’s healthfulness and it’s taste and texture in your cocktail. All about how your body absorbs fructose and sucrose. Agave: Nectar of the Gods? Published on the Weston Price Foundation’s website (I neither endorse nor reject the philosophy of this site). Agave nectar production and history.